Sunny and warm day off work, what could be better? Sometimes it's so nice to have some time off and catch up with a friend. This is exactly what I did today, much needed day for myself, sun and girly chat definitely brighten up my mood a little bit. For this day I chose comfortable outfit, because where my friend lives there is many hills involved. As we all know, England is very famous for its bumps and hills. 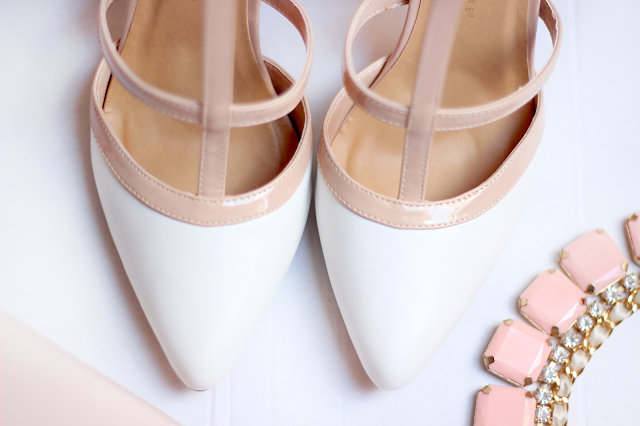 And of course, no one wants to walk up and down the hill in heels, right? 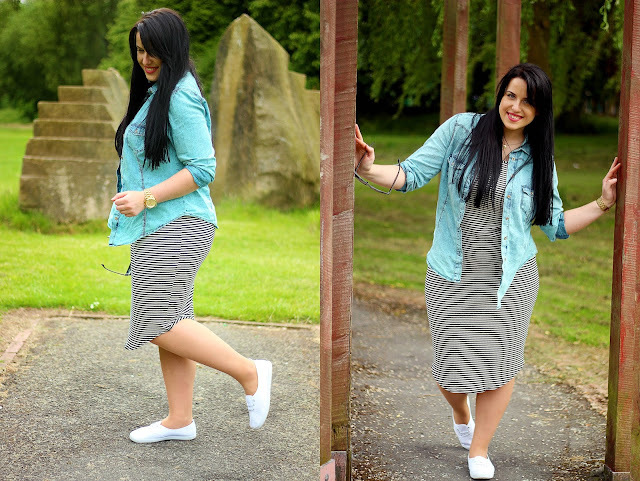 Stripey midi dress and denim shirt seemed to be a good idea. I am a huge fan of casual outfits, I feel the best wearing something simple and comfortable. 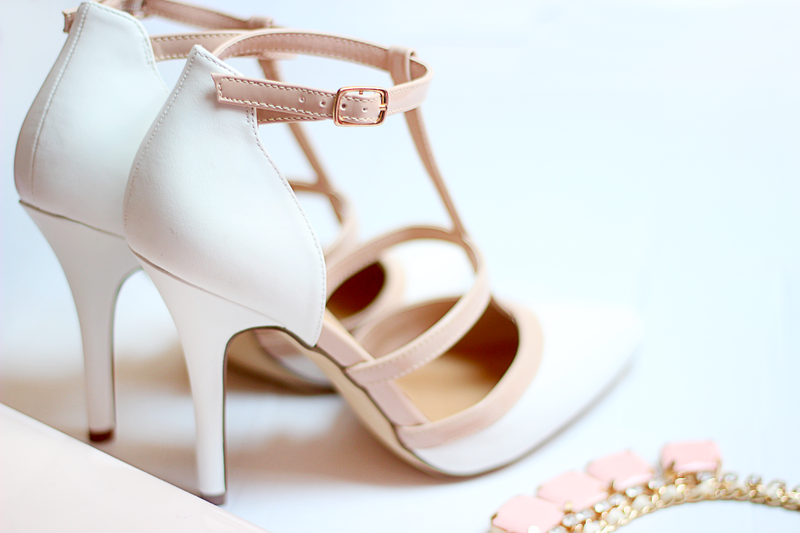 Don't get me wrong, I love to feel glamorous too, so few days in a week I do put my killer heels on! Now, look at my hair... How short it is?! As I've mentioned in my previous post I visited my hairdresser and asked her to cut all my damaged ends, so here it is what I have left... Heartbreaking. But hey ho, it's all going to grow back! Let me know what outfits you like to wear the most. I have noticed myself wearing pencil skirts a lot lately, which is kind of odd because I am not a skirt girl. I am on a curvy side and the last thing I want is everyone to stare at my legs, so skirts used to be a big NO NO for me. 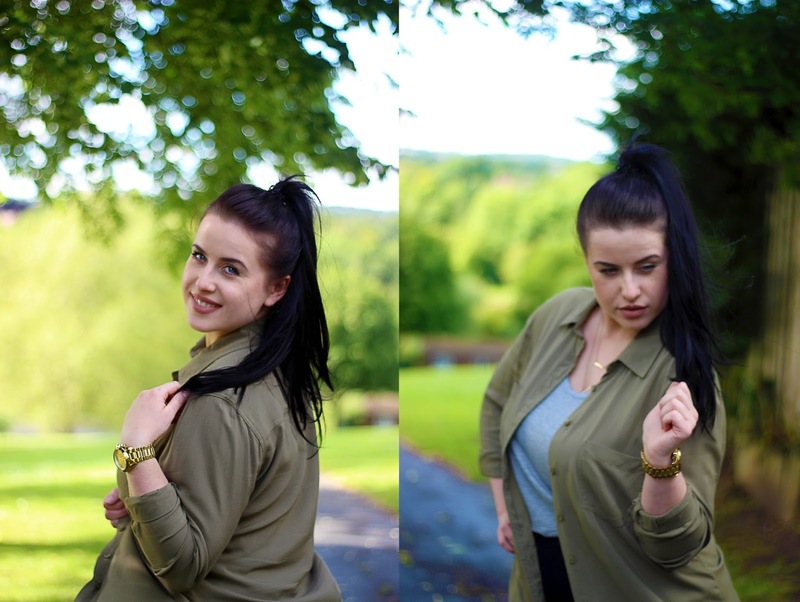 But for the past months I have been working on self confidence and challenging myself to step out of my comfort zone. It's a long and painful journey, but I have to admit it feels good loving yourself just the way you are! 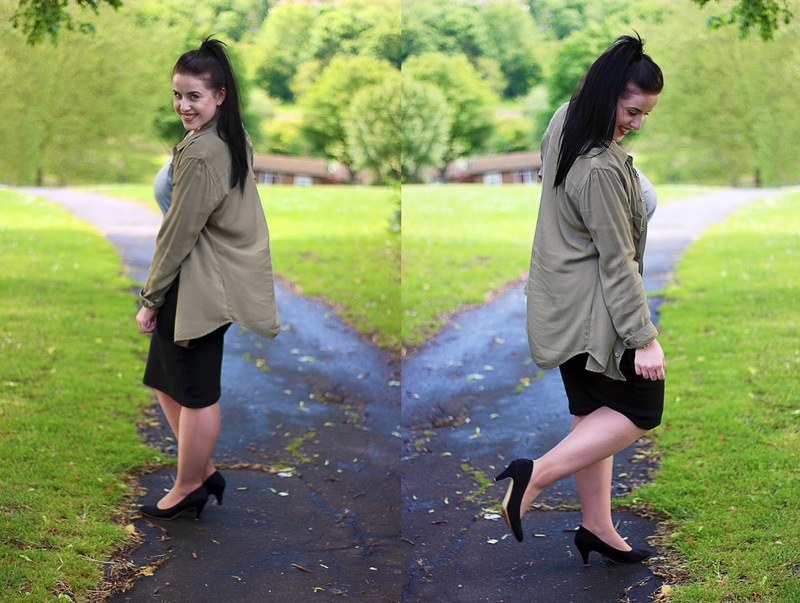 So I paired my black pencil skirt with grey t-shirt and khaki shirt. 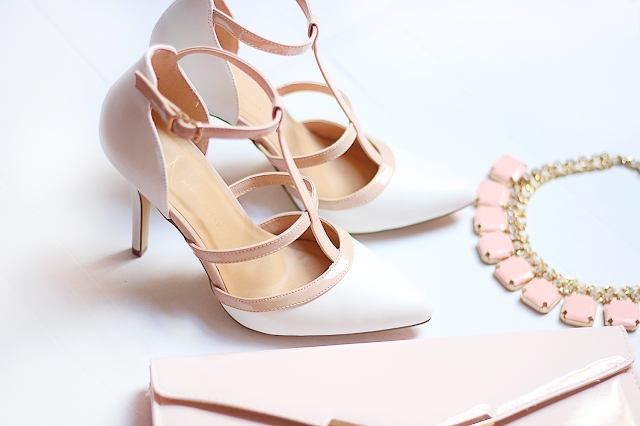 I love this color combination, it looks great for casual day out. I absolutely adore khaki colored clothes. Everytime I see something in this color I just need to check it out. It looks amazing with tanned skin tones, if I've noticed darker skin girls walking past in khaki I get super jealous 'coz all of them looks amazing in it! Let me know what you think? Are you on a team KHAKI? I have been worrying about my hair lately. A lot. There was moments when I nearly cried after brushing through it. Why? Because I am bloody loosing my hair like crazy! Seriously, it's everywhere! My bed, my bedroom floor, my work desk it's full of my hair! It's terrifying. I have long hair, I've been looking after and growing them for so long for what? For them to fall out? Hell no! I know you supposed to loose about 50 - 100 hair everyday, but mine is like 1000s of them. I have no idea what is causing the fall out, but I have decided to do something before it gets too late. I have been browsing on the internet what would be the best natural, home made remedy and the first thing I see - onion. Yes, you read it right. ONION mask. Don't get me wrong, I like cheese & onion Walkers crisps, or some onions in any kind of food. But on my hair, definitely not! And I will tell you why. I have read tons of great feedback about the onion mask, that it helps within a week or two, so I have decided to do it myself. I have mixed few ingredients such as: olive oil, coconut oil, onion juice, honey and egg and applied it to my hair. Kept it for few hours and washed it all off. Ok, my hair felt amazingly soft and all that jazz, but the smell of it... My hair stunk really bad. After washing it few times with shampoo and conditioner the smell was still there! I knew what to expect, but didn't expect that bad. Next day smell was still there, even after second wash I could still smell it. So I had to say no to the most recommended treatment and find an alternative. 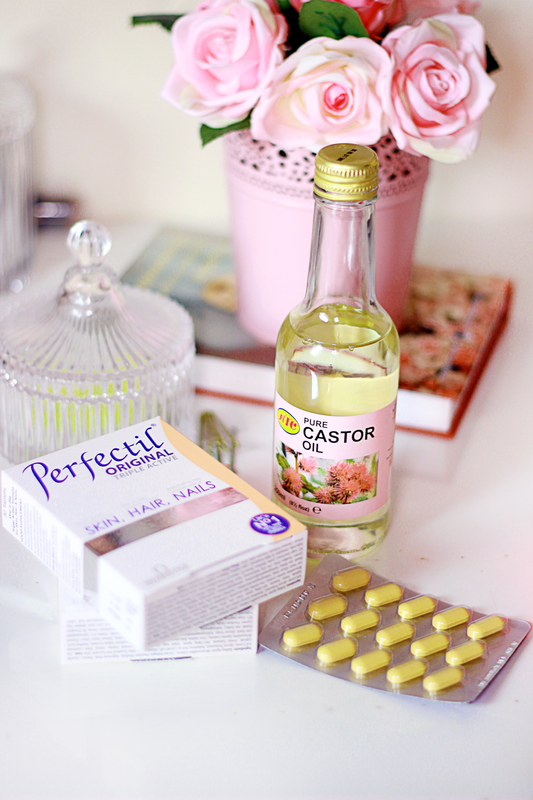 And I came across the castor oil. 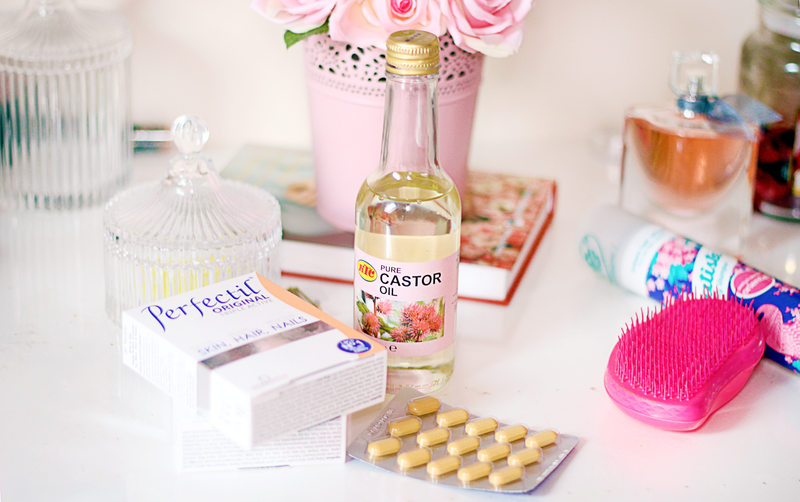 Good, old and very effective castor oil. Why I never thought about it at the first place? For those who don't know castor oil is great for skin problems, wrinkles and fine lines, acne, fade scars, stretch marks, hair growth , etc. It's kind of miracle in a bottle. I have used it before for my hair and I definitely noticed the difference. I bought pure castor oil from my local asian supermarket for just £1.89 and started applying it once or twice a week. I apply some castor oil on my eyelashes and eyebrows every night before I go to sleep, many girls raving about the results so will see if it helps for me too. I know your inner health has a huge impact on your hair and skin condition, so I have bought some food supplements to speed up the process. I used to take Perfectil Triple Action about a year ago and it really improved the condition of my nails in a very short amount of time, but then I've lost my tablets somewhere when I was moving out so I completely forgot to repurchase it again. Hundreds of woman swears by Perfectil, so I really hope it will help to fix my hair problems. It's 3 for £10 in Asda and you get 3 months supplies, which is enough time to see if it works. And today, after a very long time, I paid a visit to my hair dresser. I had a good trim and she cut the damaged ends, although it was heartbreaking to watch, but I knew it was for the best. I will keep you, guys, updated if the castor oil works and if any of you knows something effective to stop hair fall PLEASE let me know in the comment box down below. Since I've started blogging I have learned a lot about many great brands and one of them is Bourjois. I would never stop by their stand before and one of the reasons is because I thought it's another unknown brand selling overpriced stuff. But then again, when you are in blogging world, there is no chance to miss the latest trends and the best products on the market. 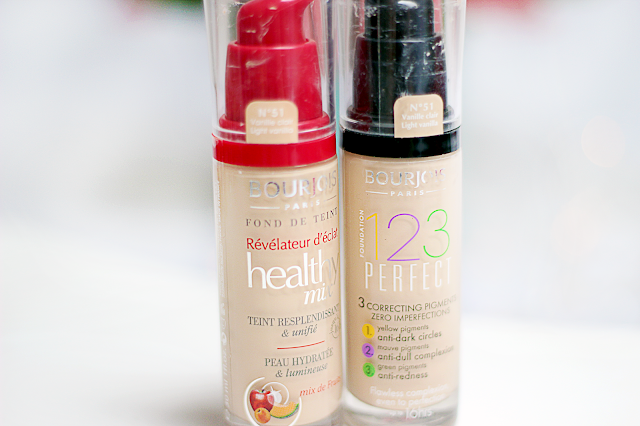 And that's how I've heard about Bourjois Healthy mix and 123 Perfect foundations. 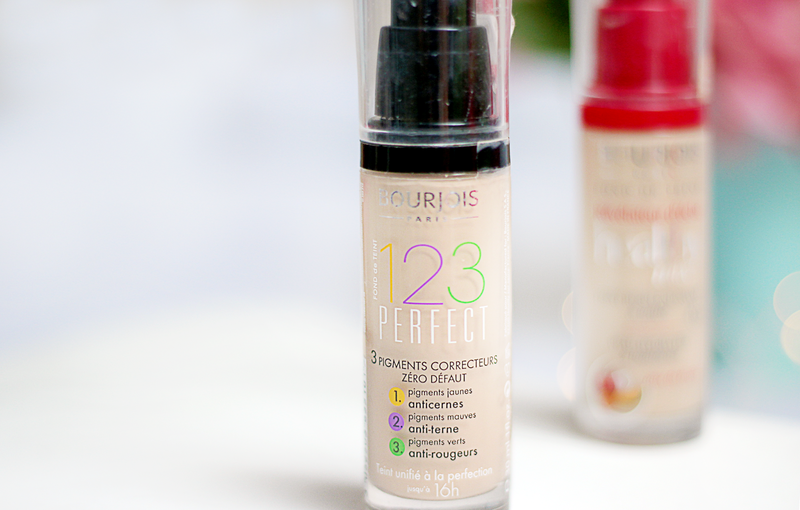 BOURJOIS 123 PERFECT FOUNDATION - It's slightly different and completely opposite to Healthy mix. And for that reason I prefer 123 Perfect foundation. Texture wise, it's similar but not so runny. Coverage is slightly better, but not miracle. Buildable though. Packaging says that foundation contains pigments to cover dark circles, dull complexion and redness, which it's not quite right. It didn't cover my redness or dark circles completely. But that's why God created concealer, right? I love applying it with the damp sponge, it gives great finish. 123 Perfect leaves very light velvet, kind of matte finish which lasts quite well if powder applied. And that's why this foundation wins the battle. 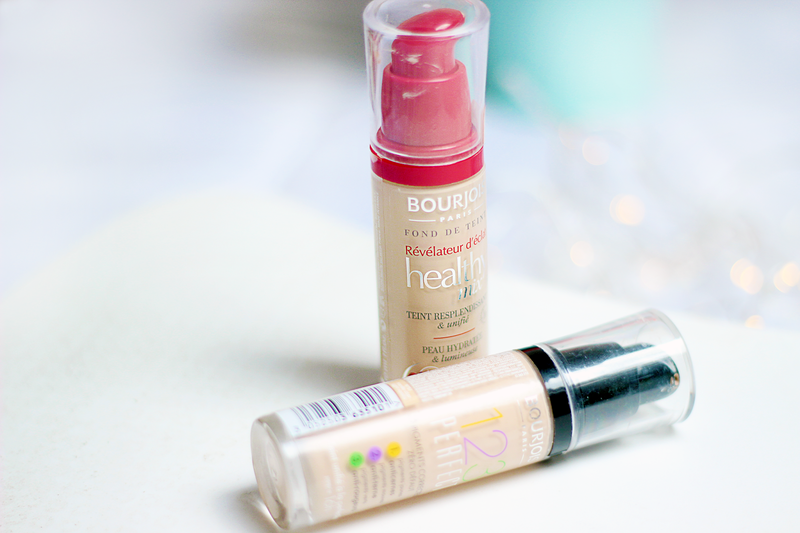 I have bought both foundations in 51 Vanilla shade and it perfect for my skin tone. 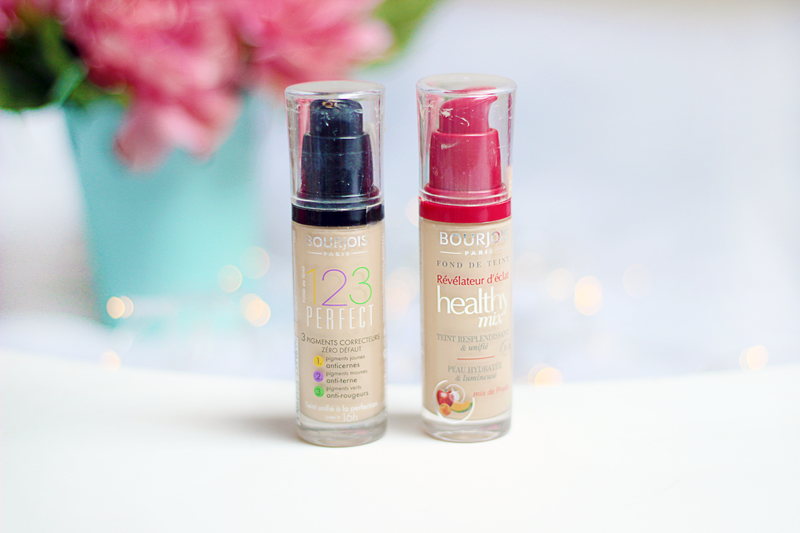 Have you tried Bourjois Healthy Mix or 123 Perfect foundations? Which is your favorite? I would love to know what you think! Ok, I think I should start post series called 'Bloggers made me buy it'. Literally. 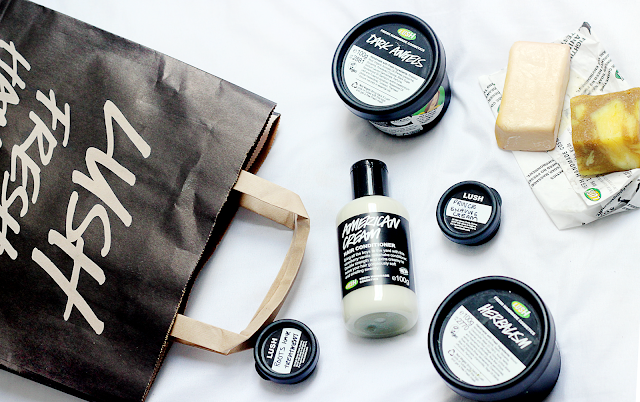 When it gets to skin care, LUSH is one of the favorite brands for many bloggers out there. Everytime I log in to my Bloglovin account, there will be at least one post about Lush products. And for a person like me, who is living under the rock, this post would be just a quick scroll down through the page. Until the day I've got three, yes THREE, nasty spots on my cheek next to each other. And you know those deep, painful, red, size of a pea spots? Yup, them ones. I thought I need to raise the bar and step out of my comfort zone. 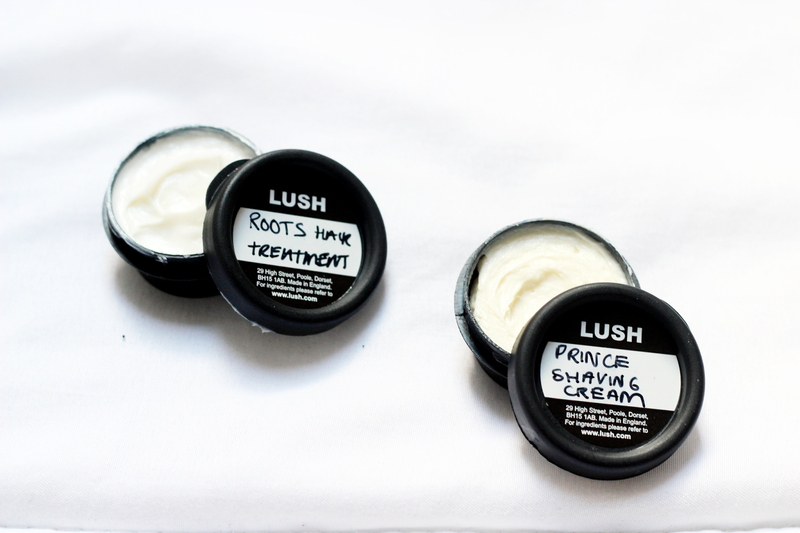 So I decided to trust all those bloggers and went on LUSH website to check what they have to offer. Oh sweet heaven, pretty much all of the products rated five stars? Too good to be true. Spent good few hours on the internet reading and making a list of the names I would like to check in store (I decided to pay a visit reading half way through the reviews). 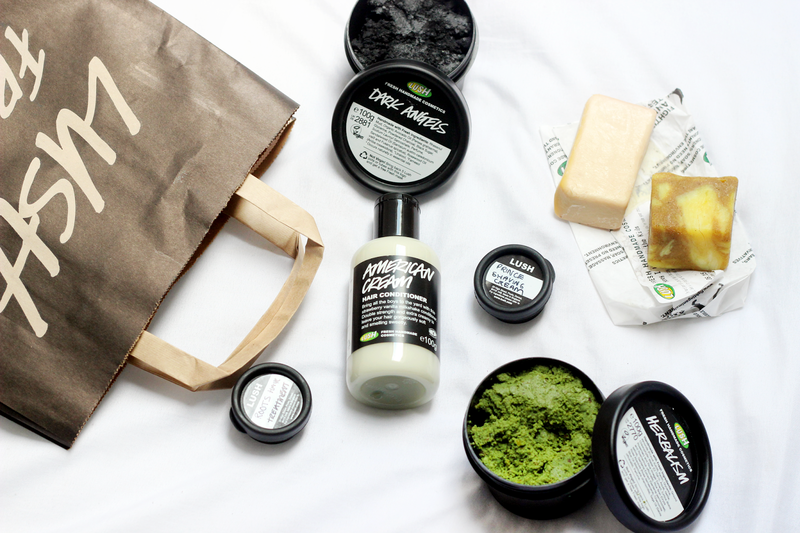 Next couple of hours and I am at the Lush store. Does anyone else gets super excited about a simple bar of soap or a teeny tiny tin of lip scrub? So where do I start? Ok, Lush store. Omg, where have I been all those years? First thing first, the design of the store and decorations - it makes you feel like tasting not testing everything. Those face masks and scrubs looks so delicious! The store staff were extremely helpful so they guided me to the right direction. I have told them my problems and we were standing there for about half an hour talking about what is good for what. I have learned so much! Thanks to those lovely people working there. 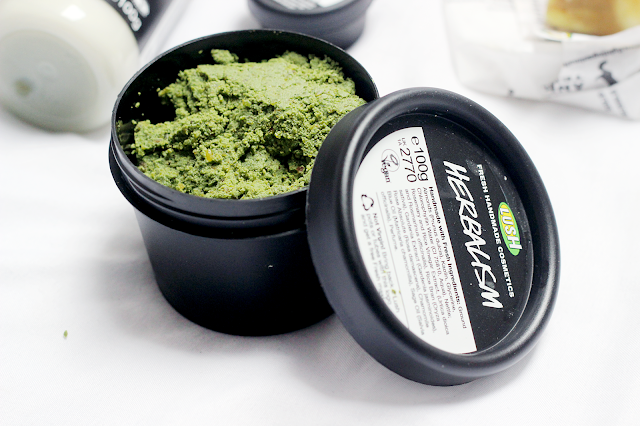 HERBALISM - Nettles, rosemary and rice bran vinegar work to cleanse the skin, removing dirt and grease, leaving bright and beautifully clean skin. Chamomile blue oil and rose absolute are used for balancing skin tone. Rice bran and ground almonds will gently exfoliate the skin and when mixed with water, the almonds create a soft cleansing milk. Our chlorophyllin is extracted from alfalfa, which is rich in vitamins and minerals and is great for revitalising the skin. I have been using Herbalism for a week or so twice a day, I don't want to scream how awesome it is because in such a short amount of time you can't really tell much. But I can definitely say my skin is left so much cleaner after every wash and it healed those 3 nasty spots within 2 days. Very happy so far! 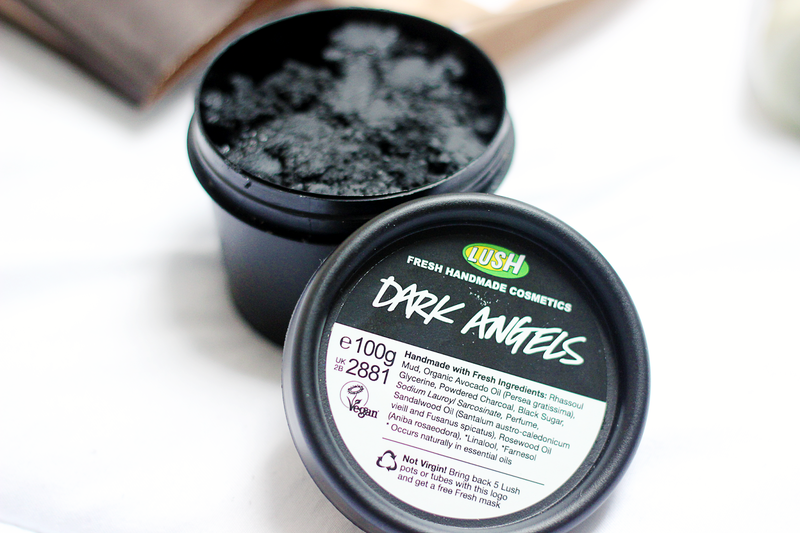 DARK ANGELS - This is for those of you who really like to scrub your skin to feel clean, with black sugar and charcoal to exfoliate, and rhassoul mud to deeply cleanse. We also use cold pressed avocado oil and vegetable glycerine to moisturise and soften your skin after all that scrubbing, leaving your skin feeling balanced and fresh. Sandalwood and rosewood oils give a rich, earthy fragrance and have a cooling and antiseptic effect on the skin. We buy our powdered charcoal locally in Dorset. It’s a great way to exfoliate and is deeply cleansing, whilst black sugar is in here to scrub away any dead skin cells, leaving you with bright, refreshed skin. I only used this once and omg, that blackness freaked me out! haha First thing came to my head 'How am I going to wash this off my face?!'. But luckily it came off very easily (*phew*). My skin felt squeeky clean. I will be making full reviews on all of the products soon, so I will let you know the results. AMERICAN CREAM - A milkshake-thick conditioner with a strawberries and cream fragrance to leave your hair soft and shiny. Fresh strawberries help cleanse the hair, and are rich in vitamin C. We've added a splash of orange juice to add gloss too, since its acidity makes the hairs' cuticles lie flat and allows it to reflect more light. 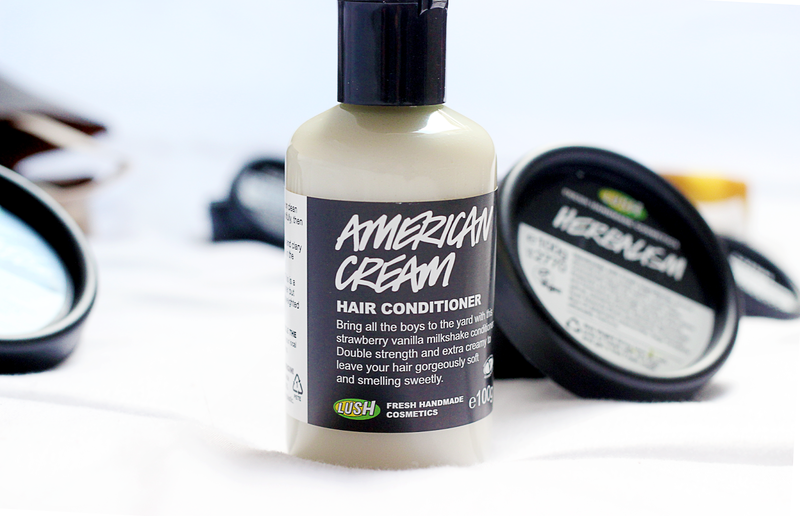 To top it off, this contains soothing clary sage and calming lavender for your scalp. I used this conditioner last night and I am not sure still if I liked it. I will keep using it everytime I wash my hair and see if I finally be able to say Yay or Nay. HONEY I WASHED THE KIDS - A caramel-scented soap that lifts your mood and soothes and softens skin. Gentle enough to wash young skins, it’s like washing with crème brûlée in solid form. This soap contains mood-brightening sweet wild orange and bergamot oils as well as the soothing properties of honey and aloe vera gel. Oh, this soap reminds me of my grandma for some reason. Smells like clean, just washed bed sheets. 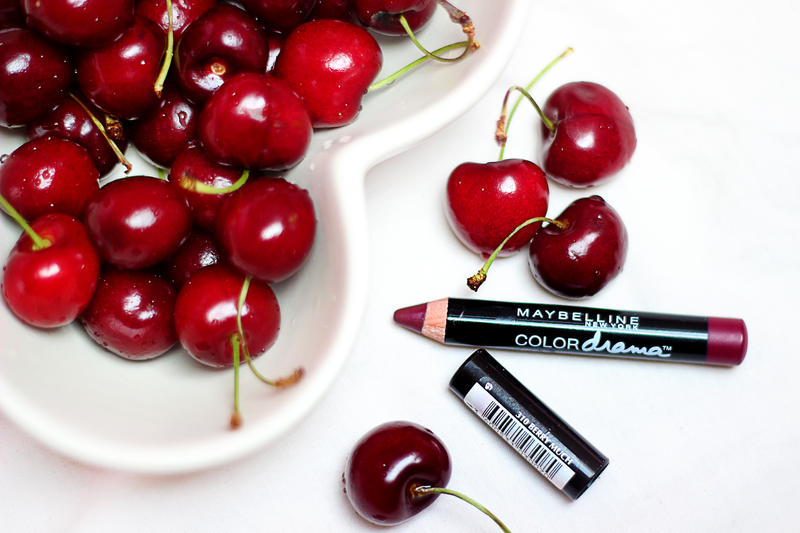 It's feels so creamy on the skin and lather up very well. This soap leaves my skin super soft after every wash! SANDSTONE - An uplifting and skin-smoothing citrus soap that brings to mind the beaches of Brazil. Waves of sand and a lemony scent will transport you to a tropical beach, sipping seaside cocktails. We've used the incredibly uplifting litsea cubeba oil to wake up your mind, then wake up your skin with the sandy scrub. It's the perfect soap for summer, or whenever you want to feel bright and breezy. 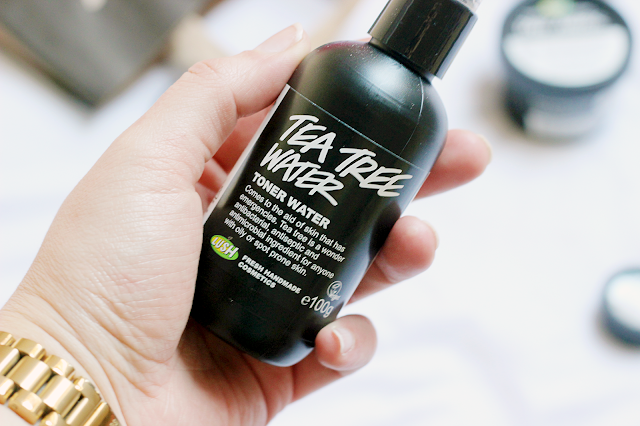 TEA TREE WATER - Keep skin clear and refreshed. Tea tree is antibacterial, antifungal and antimicrobial, so can help keep away the bacteria that can cause spots. Grapefruit is rich in vitamins and is also lightly astringent on the skin, whilst juniperberry is antiseptic and helps keep skin clean and clear. Use any time of day to keep skin refreshed, or to remove traces of makeup or cleanser. I love how refreshing this stuff is. I spray it directly on my face and wipe it off with cotton pad, it's not drying my skin. Skin feels very clean after every use. Also, I bought DIRTY shaving cream for my boyfriend and he absolutely loves it! Lovely people at the store gave me few samples aswell, but my man took it all of me so I never got my hands on those cute little pots of goodies. As I mentioned earlier I will be making full reviews about all of those products soon. I will let you know if it worked for me, so stay tuned! 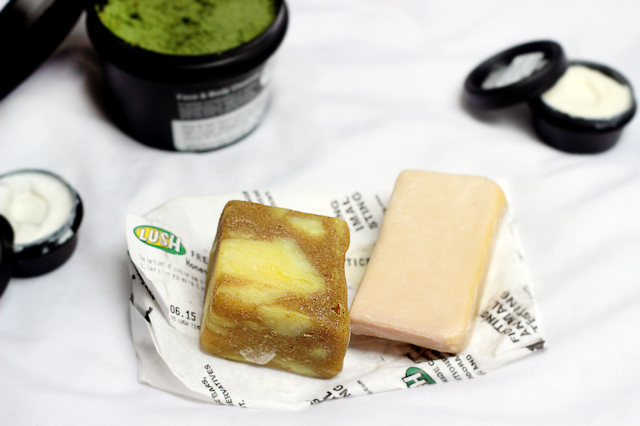 Let me know your favorite LUSH product, I would love to try them all! I am back with my travel diary and the most beautiful place I have ever been. I will share tons of pictures, because words it's not enough to describe this place. While we were in Spain, we visited beautiful little town called Ardales. There is a river called Guadalhorce, just few kilometers away from there. I have googled few places to visit before we went on our holiday and I found that there was some history behind this place, so I wanted to go and see the famous House of the Engineer and the Kings chair. From the Chair of the king, if you look to the other side of the reservoir, you can see the very impressive and grande chief engineers house or “Casa del Conde” which is closed to the public but would make an amazing place for a hotel or museum. I have to say this house is very impressive and I would dare to say that it's most of our dream! Stunning views around, peaceful atmosphere, crystal clear water and summer all year a round! Could you ask for more? I cannot describe the feeling when you are there. Nothing but peace, maybe 5 -10 people walking around. Only nature and you. When we saw Guadalhorce river we where gobsmacked, literally. We couldn't say a word for few seconds and after that, the only word we could of think of was WOW. My eyes have never seen anything like this before. Water was so clear you could see huge fishes jumping in and out, greenish turquoise color was so attractive, I just wanted to jump in with my clothes on! Me and my partner walked around for a bit, enjoyed the views of mountains, fishes and birds. We didn't take our swim wear with us and we regret that moment so bad, but after spending few hours just sitting and enjoying the views, we decided to come back there the next day. Even though we had stunning beach just few hundred meters away from our hotel and huge swimming pool right at our door step, we traveled 40km just to spend another day in paradise. I can definitely call this place heaven, amazing piece of art that God created for us. We took our towels, sun creams, loads of snacks, plenty of wine and traveled to the same place the next day. It was the best day of our lives. It was only me and my boyfriend surrounded by breath taking views. We were jumping of the cliffs in to the water, swimming across the river and just laughing and appreciating the moment. I will never forget the feeling, when I was in the middle of the river, surrounded by huge mountains and crystal clear water. I felt so small and so big at the same time, like I had the whole world in my hands. Truly the best experience I've ever had. I am sharing some pictures I've took so you, guys, know what I was talking about.